"The people of Elk Grove embraced these families and the Sikh community in the difficult days after this tragedy. In the five years that have passed, it is clear that the bond has grown even stronger," Amar Shergill, American Sikh Public Affairs Association board member, told NBC News. "We are hopeful that, by keeping alive the memories of these beloved grandfathers, a witness may be motivated to come forward, bring the murderers to justice, and collect a $57,000 reward." "As AAPI allies and co-conspirators, we won't stand complicit in this system that disproportionately discriminates, devalues, and brutalizes folks who are unapologetically Black,"
"I think it's distasteful and disgraceful for shadowy out of state PACs to influence Missouri politics by throwing Asian Americans under the bus," Caroline Fan, president of OCA Asian Pacific American Advocates St. Louis, said in a statement. "St. Louis is actively registering Asian American voters so that politicians on both sides understand our voices and votes count." "With the admission by Mr. O'Callaghan in open court of his 'significant history of mental illness' on Nov. 23, 2015, this adoption should never have been allowed to take place... The admission of mental illness by Mr. O'Callaghan is now being used to get a lighter sentence, yet the defendant intentionally hid his history of mental illness and ended up fatally abusing his adopted child." "Mohamed Ahmed, Seat 25-A: I will be watching you,"
"My company was deliberately formed in 2004 as a company of women of color committed to making dances of social justice," Ananya Dance Theatre founder Ananya Chatterjea told NBC News. "I describe my work as 'people powered dances of transformation.'" "In the often tumultuous world of politics, he has been a shining example of what it means to be a public servant." 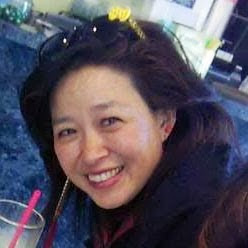 "Our Ohio elected officials fail to accurately represent our communities when they equate Chinese Americans and our contributions to American culture with foreign trade, highlighting their own blindness to the cultural relevancy of Chinese Americans," Lisa Wong, president of Greater Cleveland Chapter of OCA - Asian Pacific American Advocates, said. "We must protest against this insensitive behavior no matter the candidate or their political affiliation." "He said, 'I'm going to cut you up because you're a terrorist,'" Preet Moudgil told The Spokesman-Review. "All he saw was a brown man." This January 2015 episode of Al Jazeera English The Stream where I'm on a panel interviewing Aasif Mandvi is finally available in US! "This is primarily a call for empathy and understanding. The Asian immigrant community as a whole doesn't see police brutality against black people as 'their problem' and are sometimes even anti-Black themselves. This is a conversation starter to ask for a willingness to stop and listen rather than getting immediately judgmental/defensive when we broach these issues with them,"
Without access to police recordings, we would not know what happened to victims of police violence," Cat Bao Le, executive director of SEAC, told NBC News. "We will be unable to hold police who kill our brothers and sisters of color accountable for their actions. The purpose of body cameras and police recordings are to build public trust in the police. It is important for Governor Pat McCrory to veto HB 972 for Chieu Di Thi Vo, Jonathan Ferrell, Bong Ackhavong, Sandra Bland, Freddie Gray, Eric Garner, Mike Brown, Alton Sterling, Philando Castile, and many more beloved community members whose lives were ended by police violence." My first article for NBC Asian America, two years ago yesterday. So grateful and so honored every day to be able to write for and about our communities. Thanks so much for entrusting your stories with me. "At a time where entire communities are under attack for their faith, these opportunities for dialogue are especially important. ... I hope we continue to recognize and advocate for Sikh Americans and all our nation's diverse faith communities." I hope this vigil is a reminder of the love that still exists, especially during times of extreme violence...we are powerful if we take care of ourselves and stand with each other. Tarishi was a beautiful soul and for the community to lose her is heart breaking." The horse was a family pet named Misty Blue after the misty morning that she was born on the family's farm, where she grew up with the family's children. "She was a Tennessee walking horse, a natural, big, broad," Sandhu said. "She always greeted us with her personality. She had a huge personality. She was our joy."